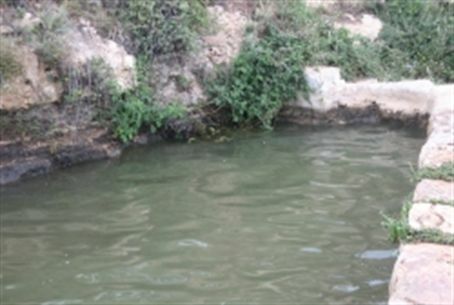 "Anonymous" youth spruce up Shomron by unclogging water passages, adding goldfish and benches - augmenting the growing Shomron tourist sites list. The Shomron Residents Committee has launched a new Internet site with suggested relatively unknown attractions. An increasing emphasis has been placed on do-it-yourself sites such as hiking routes, water springs and brooks, mountain views, and wadis. Culture and archaeology sites are also on the list. The site has close to 500 photographs of brooks and springs that these youth have transformed into beautiful spots on the map of the Shomron. “It is unbelievable that within no more than a 25-minute drive from Petah Tikva and Modiin, there are so many hiking routes and brooks – with no security risks,” Elinson adds. Among the more popular routes and attractions are sites near the Shilo-Eli-Givat Harel bloc, as well as others near Elon Moreh, Beit El, and more. The Hebrew website is <http://www.inn.co.il/Special/Content/Tours.aspx/v/228>. The English translation has not yet been prepared...perhaps Anglo readers of INN should request it by writing the site.